Product prices and availability are accurate as of 2019-04-23 00:21:23 UTC and are subject to change. Any price and availability information displayed on http://www.amazon.com/ at the time of purchase will apply to the purchase of this product. 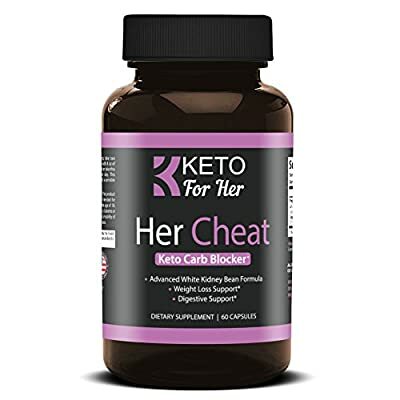 Her Cheat by Keto for Her is a powerful carb blocking supplement made for women on low-carb or ketogenic lifestyles. Use Her Cheat to effectively manage your weight loss and fitness goals by reducing carbohydrate absorption and blocking starch from kicking you out of ketosis. 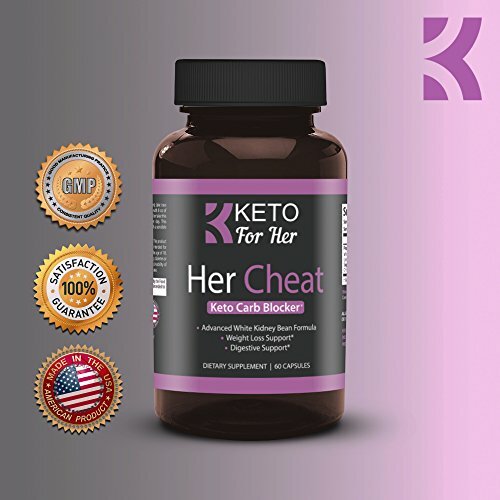 Her Cheat is MADE IN the USA in a FDA, GMP-Certified facility with third-party safety testing for purity and effectiveness. When you ingest carbohydrates in your food, an enzyme called alpha-amylase breaks down the carbs into absorbable sugar. The white kidney bean extract in our formula acts to block those enzymes from breaking down the carbs, therefore allowing the carbs to pass through undigested and unable to build fat throughout the body. Our formula is also designed to help increase satiety or the feeling of fullness after a meal, thereby reducing your hunger cravings and suppressing your appetite for maximum effect. Take two (2) capsules immediately before mealtime with 8 oz of water. 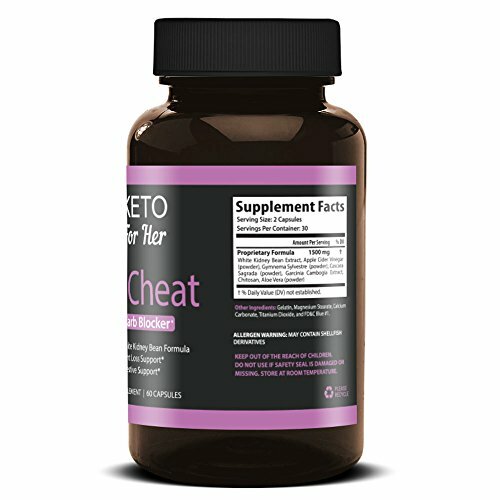 Do not exceed 2 capsules per meal or take this product with more than two meals per day. This product should be used with a sensible diet and exercise program. While we're 100% sure you'll love Her Cheat, if for some reason you can't find the love for our product like we have, we promise to refund your money, no questions asked. 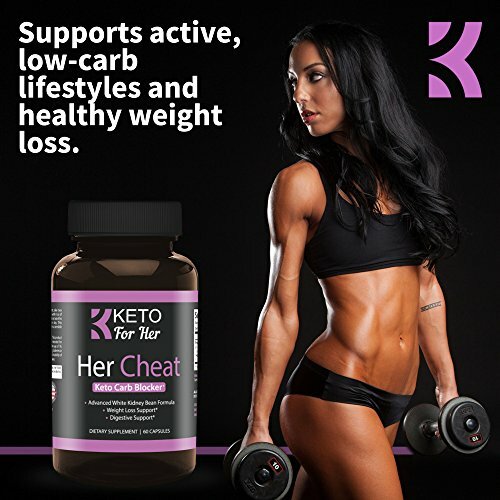 KETO-FRIENDLY, CARB BLOCKING FORMULA - Intercept and block carbohydrates with our advanced formula. SUPPORT WEIGHT LOSS & SUPPRESS APPETITE - Achieve healthy weight loss and stop those sugar cravings. 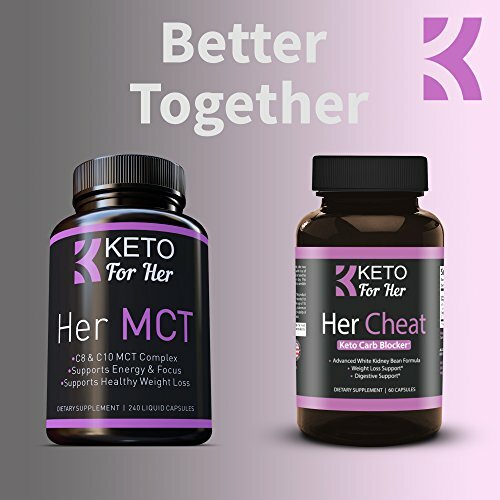 WORKS BEST WITH OTHER KETO SUPPLEMENTS - Use with "HER MCT" capsules for maximum effect and crush your keto goals. 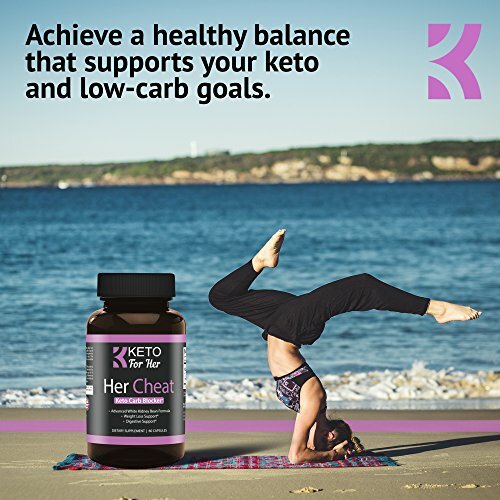 BOOST METABOLISM AND STAY IN KETOSIS - Slim and trim your way to success while on a low carb diet. SATISFACTION GUARANTEED - If you aren't happy with our product for any reason, please contact us for a full refund, no questions asked.